Welcome to 519 W Walnut Ave El Segundo. 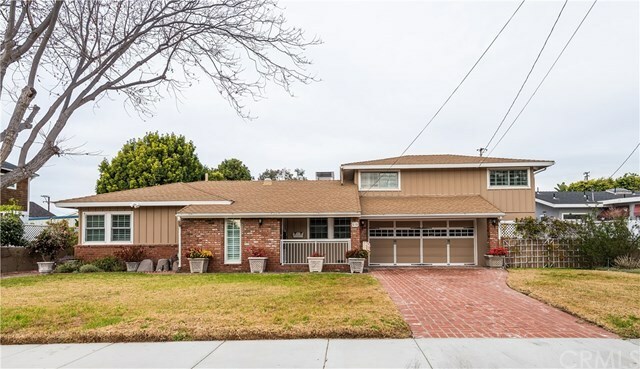 This 12,029 square foot lot property features a 2,255 square foot home consisting of 5 bedrooms and 3 bathrooms. You have to see the space to appreciate it. 3 bedrooms up stairs with a nice, bed/bath/office master suite on the ground floor. Oversized 2 car garage, 2 separate driveways, one with access to the rear yard, perfect for RV or recreational toy owners. The finishes are dated but the âpride of ownershipâ is seen through the pristine conditions the home is in. The house has been retrofitted with air port sound proof windows and doors. Forced air heating and air conditioning. The rear yard is the real jewel, at 84 wide x 143 deep the lot is huge beyond words. Have a pool and a tennis court with room to spare. Directions: West on Walnut from Virginia st.